This post contains a set of brief impressions on some of the new IEMs that have hit my desk in the past few months. These are either noteworthy sets that are not near the top of my review queue yet, or IEMs that I’ve listened to but don’t plan to review in full for one reason or another. 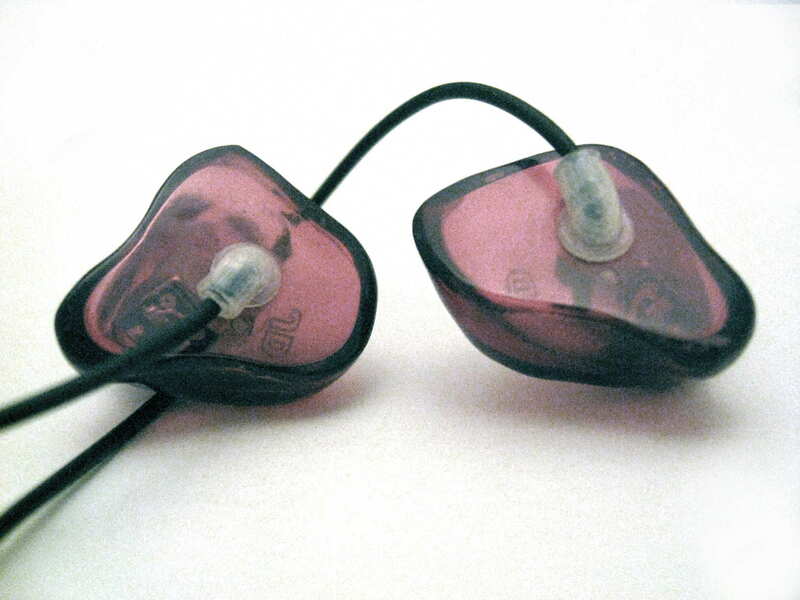 More of these IEM mini-reviews will appear on the Brief Impressions page as they are written up. These notes are based on brief listening impressions done over the course of a few weeks. The FR and PR are Noble Audio’s latest universal IEM releases and feature variable tuning. Attempts to offer users multiple sound profiles in a single earphone are nothing new, but in the past have almost always relied on either interchangeable acoustic filters, as in the case of the Shure SE846 and AKG K3003, or some sort of vent adjustment system, as with the Sennheiser IE80. The new Noble earphones, however, each feature two discrete sets of drivers and crossovers, which the user can alternate between via a switch on the earphones’ faceplates. This method of providing two different sound profiles in one earphone, while less cost-effective, certainly has the most tuning potential. Aside from the addition of the toggle switches, the FR and PR use the same black plastic housings as the Noble 6 (brief impressions of which can be found here) and other Noble universals. The form factor is very impressive, with a smaller footprint in the ear compared to the other custom-come-universal earphones I’ve tried, such as the FitEar TG334 and StageDiver SD-2/SD-3. The housings are a little on the thick side as a result of the small footprint, but very lightweight. The nozzles are long enough for a fairly deep seal, and overall comfort is excellent. The earphones use a 2-pin detachable cable and come with the same cord as my Noble 4S customs. It is braided below the y-split and has a rather beefy-looking – albeit not very bumper case-friendly – 45-degree plug. The FR and PR each feature two different driver configurations yielding two different sound signatures. The FR model features an “F” (full-range) setting with the switches in the up position, and an “R” (reference) setting with the switches down. The F-configuration is advertised as full-range, balanced, and detailed while R-configuration is said to be fast, clear, analytical, and resolving. The “F” setting provides sound on the warm side of neutral and is notable for its bass, which is plenty powerful, but not excessive, and relatively level mids and highs. It has excellent depth and impact, reminding me of the Noble 6 – indeed, there are many strong similarities between the “F” and the Noble 6. Aside from the 6 being a lot more sensitive, a little bassier, and slightly softer and smoother through the upper midrange and treble, the significantly less expensive FR keeps up just fine. The R-configuration is much more balanced, as a reference tuning should be. It strongly reminds me of the famed Etymotic ER4S – aside from being a tiny bit clearer, more robust at the bottom end, and perhaps a hair brighter (but not more harsh or sibilant), it’s a pretty spot-on interpretation of the Etymotics’ sound and offers significantly better accuracy than its sister tuning. Though it lacks the rumbling deep bass of the “F” setting, it sounds tighter and cleaner overall, making the “F” appear dark and boomy in comparison. The tone of the R-configuration is cooler and brighter, though – impressively – the treble is no less forgiving than that of the “F”. Clarity is a little better with the R-configuration as well. Comparing the two sound signatures of the Noble FR is interesting, to say the least, because they are so drastically different – different enough that each consistently points out the downsides of the other. When switching over from the “F” setting, the “R” immediately sounds lean, cold, and light on bass. When going the other way, the “F” initially sounds excessively bassy and muffled. Without pitting them squarely against each, however, both sound quite good, and the FR will work well for those who need (or prefer) a true “Reference” sound occasionally, but don’t want to be stuck with it at all times. The Noble PR is a twin of the FR in everything from design to price. Glancing over the specifications, the only thing that’s different is the nominal impedance of the “P” setting – 240 ohms. The PR features a “P” (pure) configuration, enabled by the switches in the up position, and the same “R” (reference) configuration as the FR, which is active with the switches down. The P configuration indeed has very low efficiency – it is significantly quieter than even the Etymotic Research ER4S, never mind the other Noble sets I’ve tried. When properly driven, however, the “P” has a very clear and balanced sound with surprisingly good end-to-end extension and a wide soundstage. It makes the “F” setting of the FR, which is warmer and darker with its smoother treble and significantly stronger bass, appear bassy, boomy, and muffled in the midrange. The clearer, more balanced “P” lacks a large chunk of the F-configuration’s bass – and all of the bass bloat – but also has some added treble splash, which at times causes it to be more sibilant. I compared the P configuration to the Etymotic ER4S as well, and found it to be a touch brighter, but also clearer. The Noble “P” has bass that digs a little deeper and delivers more punch – two of the most common knocks listeners have against the ER4S – as well as a larger presentation. The ER4S is more neutral in tone and sounds smoother overall, highlighting the slightly more peaky nature of the Noble’s treble. Lastly, I compared the PR to the $1000 Noble 4S, a silicone-shelled custom monitor that remains one of my favorite neutral-sounding earphones. The “P” configuration is technically very close to the 4S, though the 4S still sounds better to me from a tonal standpoint. It is the more neutral of the two – warmer, fuller, and more natural-sounding than the “P”. The “P”, on the other hand, is brighter and not quite as full-bodied, with a slightly metallic tone in the treble and greater tendency towards sibilance. The “R” configuration is also not far behind the 4S – it’s a touch thinner and brighter, but the difference is small. Clarity is similar and detail resolution is extremely impressive all around. The balance of the “R” is a little more focused on the midrange, but arguably more level overall, while the 4S is more full-bodied. The 4S is also more sensitive than the “R”, and of course the “P”. Unlike the Noble FR, which offers two highly contrasting sound signatures in a single enclosure, both tunings of the PR model are designed for accuracy and neutrality, but go about it in different ways. Thus far, the “R” setting is my favorite – it might not be as proficient as the “P” from a technical standpoint, but it delivers exactly what I seek from balanced-sounding BA earphone – unfaltering clarity and detail with minimal listening fatigue. It’s worth noting that the R (“Reference”) configuration from the PR and FR can also be added to Noble 3C, 4C, and 5C acrylic custom IEMs for an additional fee. Kansas-based Perfect Seal may be a new name in the audiophile scene, but the company has more than a decade of behind-the-scenes experience in manufacturing of custom in-ears. The debut lineup includes a range of custom musician’s earphones as well as a trio of custom earphones made for sports. All of Perfect Seal’s SportBud earphones feature ThermaFlex ear canal portions, which soften when in contact with body heat and provide an even more comfortable and consistent seal. The only other earphone I’ve tried with this feature is the $950 Westone ES5, but that was enough to make me a fan of soft canals on acrylic customs. The SportBud Silver falls in the middle of Perfect Seal’s sports range, with a dual-armature configuration in the form of Sonion’s 1723 AcuPass driver and a very reasonable $250 price tag. It uses a compact half-shell design that fits mostly inside the ear canal. 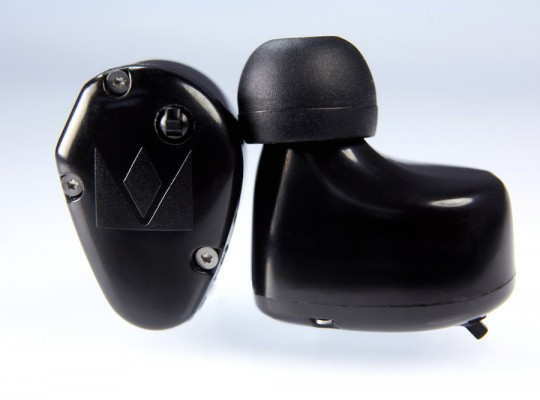 The advantage is a smaller contact area with the outer ear compared to conventional full-shell customs, which reduces the potential for soreness and ear fatigue. It is also much easier to lie down while wearing a half-shell custom like the SportBud Silver, and the compact form factor makes it even more convenient to store and transport. Thanks in part to the ThermaFlex canals, however, noise isolation is still comparable to full-shell acrylic customs, so the only real downside is that the earphones can be a bit tough to extract from the ear without pulling on the cable. The SportBud boasts one more unique feature – while the cables are not detachable, the connector actually rotates against the housing with about 270 degrees of freedom, allowing for comfortable cable-up or cable-down wear. It works beautifully, making it easy to get the cable angle right and helping with the fit and overall convenience. The sound of the SportBud Silver is balanced, with a warm tilt but good accuracy throughout. 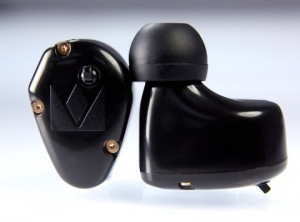 It strongly reminds me of the more expensive InEar StageDiver SD-2, sounding a little less dynamic, but also clearer and more balanced on the whole. Like the $450 SD-2, it challenges other top-tier universal-fit monitors despite being far less dear in price even with a custom fit. The SportBud has ample bass quantity for a BA earphone – not quite as much as the EarSonics SM64, but enough to compete with the Westone 40. The W40 sounds a hair tighter in the bass region but lacks some clarity in the midrange in comparison to the SportBud Silver. The slightly more prominent treble of the SportBud, while helping balance out the sound signature, makes it a little more harsh compared to the Westone 40, but still smoother compared to popular sub-$250 sets such as the VSonic GR07 and Dunu DN-1000. The presentation of the SportBud is a little congested next to the SM64, Westone 40, and several other higher-end universal monitors but again very difficult to fault for the price. I paid extra attention when comparing the SportBud to my other $250 custom IEM – the full-shell, silicone Custom Art Music One. The SportBud provides a warmer and bassier sound compared to the Music One but doesn’t sacrifice anything in the way of bass quality. In fact, it actually sounds a little more effortless at the bottom end – one of the few knocks I had against the Music One is that its bass quality isn’t as good as I expected despite the lack of enhancement at the low end. The Music One is overall more balanced and its tone – more neutral than that of the SportBud. The midrange is a touch clearer and more transparent, but overall quite similar. There are more differences in the treble region – whereas the Music One is a little laid-back and very smooth up top, the SportBud Silver is more energetic and less forgiving, making the Custom Art unit sound a little dull and smoothed-over in comparison. In terms of presentation and imaging ability, the earphones are similar but the Music One sounds a little more “open” on the whole. All in all, the SportBud Silver is a definite competitor for the Custom Art Music One in the best-value CIEM department – a sub-$250 custom monitor that goes toe-to-toe with top-tier universals, complete with a fantastic half-shell form factor featuring flex canals and rotating cables. The SportBud Silver is getting a recommendation now, and will receive a full review in the future. Perfect Seal SportBud Silver product page . To let the manufacturer know that our reviews matter and get a 10% discount, mention coupon code THL with your order. 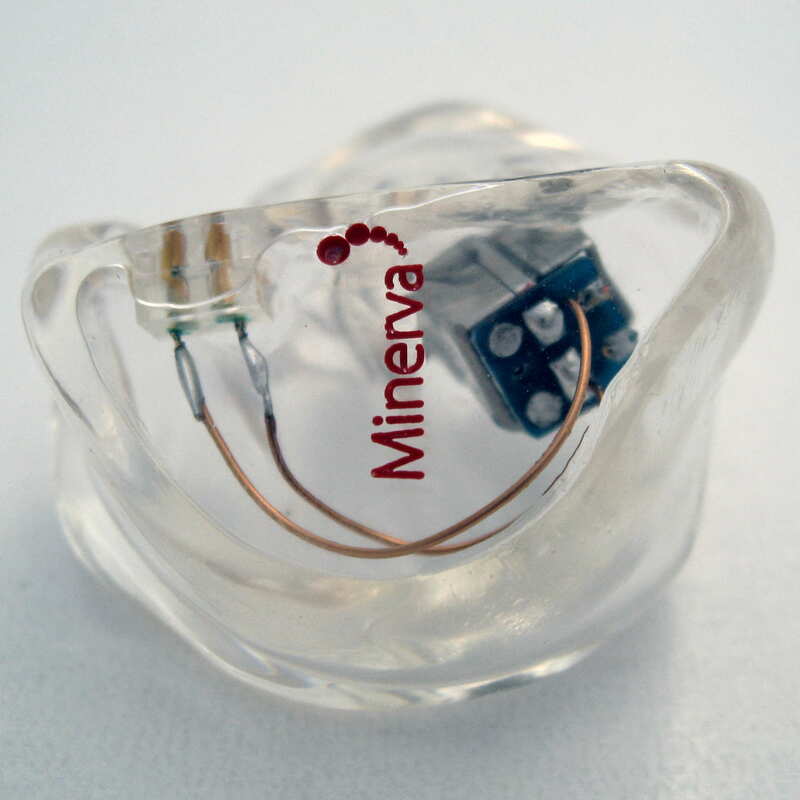 UK-based Minerva has recently updated their custom IEM line, adding a pair of acrylic counterparts to their two pro-oriented silicone models. The whole lineup is pretty straightforward – see table below. The two I have here are the Mi-Performer Pro – the dual-BA model in silicone – and the Mi-Artist Pro dual-BA earphone in acrylic. Aside from the shell material, the biggest difference between the two is the cable. The Mi-Performer Pro uses a fixed (non-detachable) cable very similar to that of the Custom Art Music One – a cable that I like very much for its softness, low noise, and resistance to tangling. The acrylic-shelled Mi-Artist Pro utilizes a detachable cable with the common 2-pin connectors. The gray-colored braided cable is among the most durable ones I’ve come across and in some ways seems more similar to aftermarket replacement cables than conventional stock CIEM cables. Both earphones come with a spacious zippered carrying case, shirt clip, cleaning tool, and tube of ear lubricant – everything one could ask in the way of accessories. The Mi-Performer Pro offers an accurate and very clear sound with a slight emphasis on the midrange – not a very common signature, even among musicians’ products. Overall performance is impressive, beating out the Perfect Seal SportBud Silver and StageDiver SD-2, which sound quite similar to each other, in clarity, midrange strength, bass control, and even soundstaging. The warmer SportBud especially sounds rather bassy – and somewhat muddy – in comparison. The Mi-Performer Pro is brighter, which makes its tonal character more neutral overall, and its treble quality is better, sounding more crisp and delivering greater overall accuracy and fidelity. The sound signature of the Mi-Performer Pro is more reminiscent of the VSonic VC1000, one of my absolute favorite dual-armature universals. The Minervas have bass quantity similar to the VC1000 but sound more natural with better clarity, a larger, more 3-dimensional presentation, and a more open and airy sound. The Performer Pro is also significantly more sensitive than the VC1000. I also compared the Mi-Performer Pro to the Clear Tune Monitors CTM-200, a dual-driver acrylic CIEM with a similarly lean, clear sound and strong presence in the midrange. The Performer Pro makes for an excellent upgrade from the CTM-200, offering a more full-bodied and slightly more balanced sound, but still maintains strong, forward mids. The Minerva unit is not as rolled-off in the bass region and offers up slightly better bass impact while also delivering more clarity and a similarly spacious, open, and airy presentation. The Mi-Performer Pro is far from the most inexpensive dual-driver custom on the market, but it impresses with its balance and transparency. Performance is at least on-par with the $1000 Sensaphonics 3MAX and better than with the more inexpensive single- and dual-driver customs I’ve tried. It benefits from a lack of any real sonic weaknesses as well as the usual advantages of a full-shell silicone custom – noise isolation, comfort, and seal consistency. So far the Performer Pro is worth the asking price, especially for buyers from countries where high-end universal-fit earphones are often overpriced. Like the Mi-Performer Pro, the Minerva Mi-Artist Pro is a dual-driver custom earphone with a single acoustic bore, but shelled in acrylic instead of silicone. The Mi-Artist Pro also boasts a detachable, user-replaceable cable. Its sound is very similar to that of the silicone model, but with a sonic balance that emphasizes the lows and highs a little more compared to the midrange. This more “v-shaped” sonic balance give makes the frequency response of the Artist Pro seem a little broader. The relative emphasis of the Performer Pro on its mids actually makes it sound a little clearer next to the slightly more laid-back midrange of the Artist Pro. The added presence in the vocal range grants the Performer Pro more intelligibility, but also makes it a bit more prone to vocal sibilance. This is not necessarily a bad thing, but the Mi-Artist Pro does offer slightly smoother sound through the upper midrange and treble despite its more v-shaped sound profile. All that said, the minor differences in sound don’t make a compelling case for the pricier Mi-Artist Pro. I generally prefer the fit and comfort of silicone monitors anyway, and am accustomed to them costing more than their acrylic counterparts. The Minerva range proves the exception to this rule, but at this point I can’t say it’s a justified one. Even the addition of the durable, user-replaceable cable isn’t enough to sway me to recommend the Mi-Artist Pro over the more inexpensive Mi-Performer Pro model. T.HANKS for this. Currently looking at the minerva IEMs. Would you mind to give comment on how the “F” configuration of Noble FR compared to in ear stagediver sd2 ? The “F” is more v/u-shaped than the SD-2. The SD2 is pretty flat through the bass and mids, and then relaxes a little up top, while the F has more presence at the low end and the upper midrange/lower treble. The bass quantity of the “F” does fall between the SD-2 and SD-3, but closer to the latter.